Winter is coming! And if you’ve been a resident of Minnesota for more than a year, you’ll know how brutal our winters can be especially when it comes to keeping our lawns in good condition. 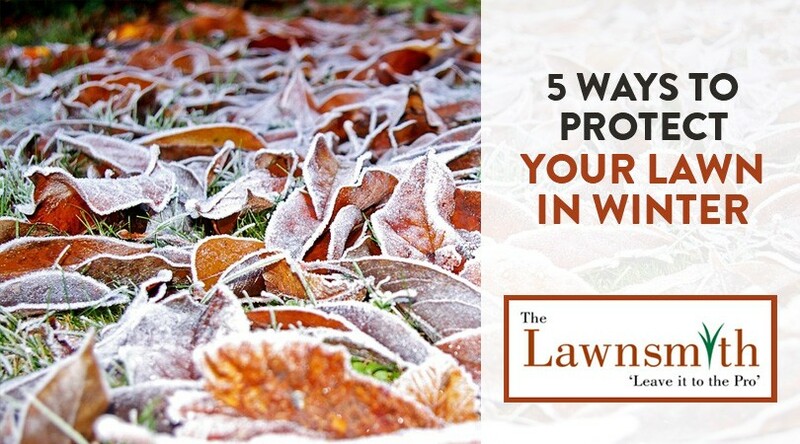 So before the snow hits, we’d like to present you a couple of important tips that will help you keep your lawn protected during this harsh season. It’s important to rake away any leaves on your lawn that have dropped from the fall season. Though they may look pretty now, it’s a good idea to sweep up all the leaves and get them off your grass. This is because it can smother the grass so when spring comes around, it can inhibit the lawn’s growth. Secondly, it can also promote snow mold diseases which are definitely not something you want to deal with. Lastly, leaves can also promote turf damage from various critters once spring comes around. Schedule an appointment with us so we can help you dethatch your lawn. Late summer to autumn is the ideal time to dethatch your lawn because the heat waves are over and the grass still has time to recover before the frost settles in. In a cool-weather state like Minnesota, grass can grow very quickly at this time of year so dethatching it now can ensure it has plenty of time to grow and recover. The last thing you want is to leave various objects around your lawn that could damage it. Tidy up any furniture, toys and miscellaneous lawn objects and get them out of the way so that you don’t risk damaging your lawn. If you have space, simply store them in your home or garage, or at least take them off the lawn and place them on your patio so that they can’t affect the lawn itself. Perform one more fertilization on your lawn before the frost settles in. We use a broadleaf herbicide and time-released dry granular fertilizers along with weed spot spraying as needed to help keep your lawn protected during winter. With this simple step, your lawn will be ready to grow when the spring season kicks in. This final fertilization will keep your lawn happy during the winter and ensure it can get off to a good start when the cold season ends. Lastly, don’t forget to book a snow removal service to ensure that your lawn stays protected over the winter. The Lawnsmith offers both a lawn snow removal service and also roof raking to help keep your home safe from the harsh Minnesotan winters. We even offer a free estimate, so head over to our free estimate page, enter your current address in the field and we’ll provide you with a quick estimate that will help you determine how much you can expect to pay. As a professional service, you’re guaranteed to get quick and effective results to ensure that your lawn stays protected this winter.